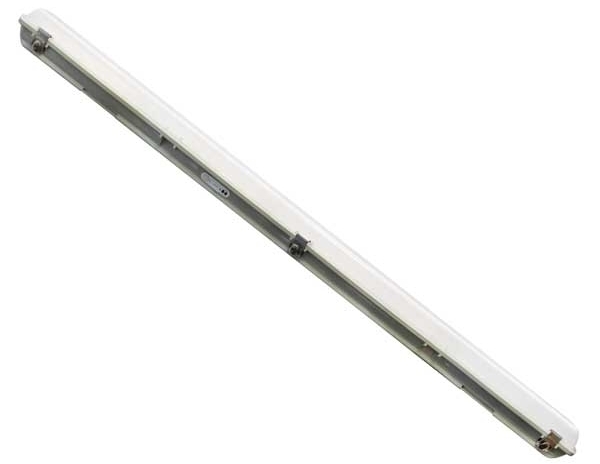 The Tradesave LED SMD weatherproof Tricolour batten is the perfect LED solution for replacing conventional fluorescent weatherproof luminaires. This is an energy-efficient LED luminaire that offers an efficient and effective solution for industrial applications that require a high impact rating as well as a IP65 environmental protection rating against moisture and dust. 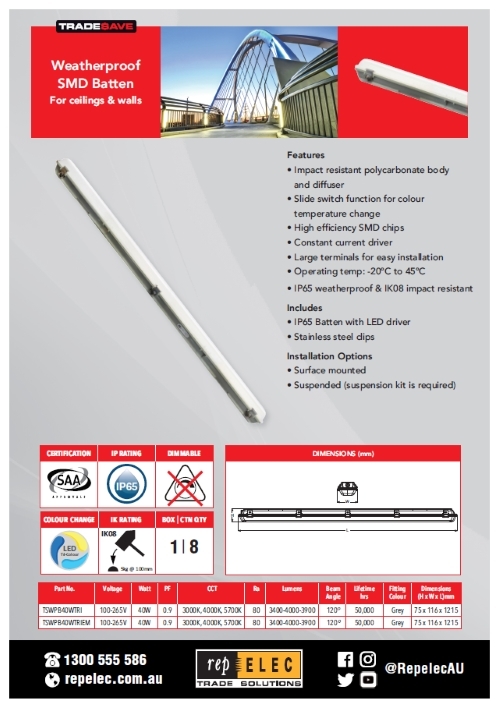 Available in 600mm or 1200mm configurations with an emergency option.